Information reaching DGN Online indicate that the police in the Central Region of Ghana have arrested a mother for allegedly killing her 3year-old son. 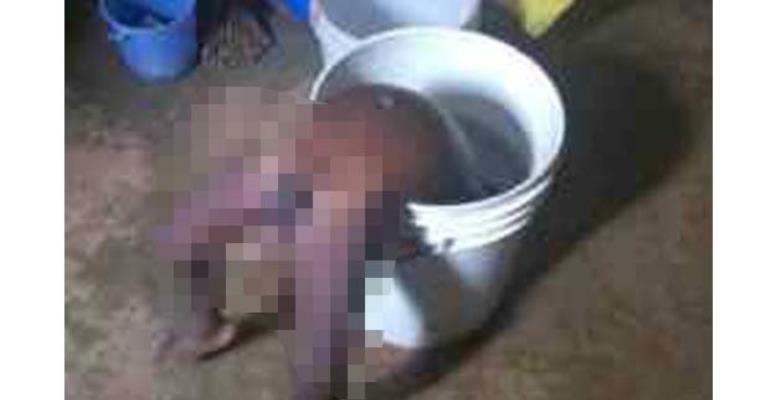 The boy is believed to been deliberately drowned by his mom in a bucket containing water at Bremen Brakwa. The mother’s name has been given as Phyllis Arthur and the deceased is called Yaw Brakye. The incident is said to have happened on Sunday, 31st March 2019.